On a blue icefield meteorite search reconnaissance mission members of the UK Polar Meteorite Exploration and Research team consisting of Katherine (Katie) Joy and field guide Julie Baum have found 36 meteorites during their search on several icefields in the Recovery Glacier region (81°10′S, 28°00′W) on the southern side of the Shackleton Range as well as the norther areas of Argentina Range (82°18’27.2″S, 41°53’30.3″W) in Antarctica since 2 January 2019. 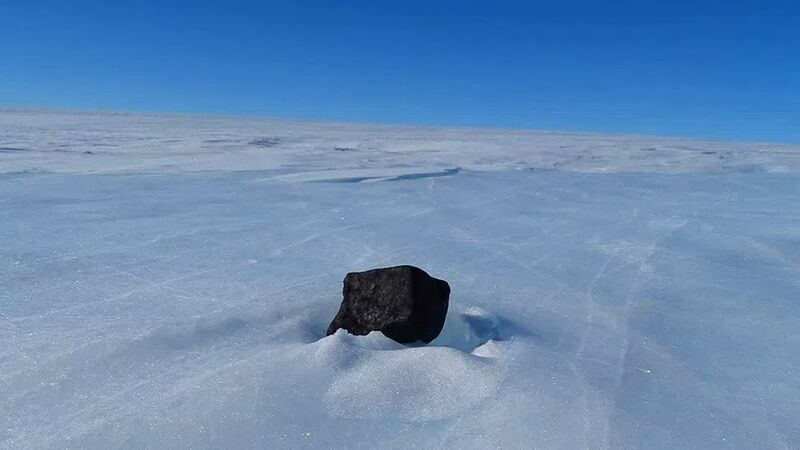 The reconnaissance mission (Dec 2018 – Feb 2019) is one of two simultaneous field trips meant as a preparation for the Lost Meteorites of Antarctica Project‘s main field trip which is planned for December 2019. 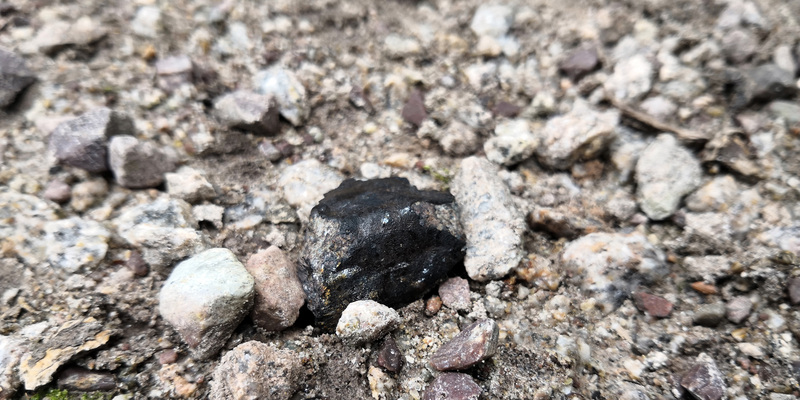 The first meteorite was found on 6 January 2019. By 8 January three meteorites had been found. On 9 January another 4 meteorites were found. The following day another four meteorites were discovered. 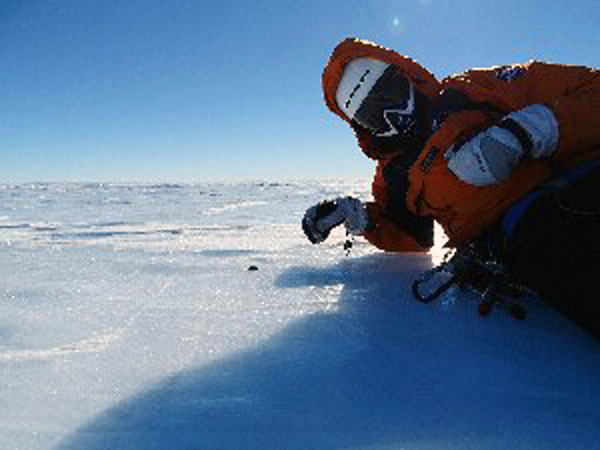 Together with the eight meteorites found on 11 January and the two meteorites found on 12 January, including a specimen with a length of 19 centimeters, a total of 21 meteorites was found in the first search area. 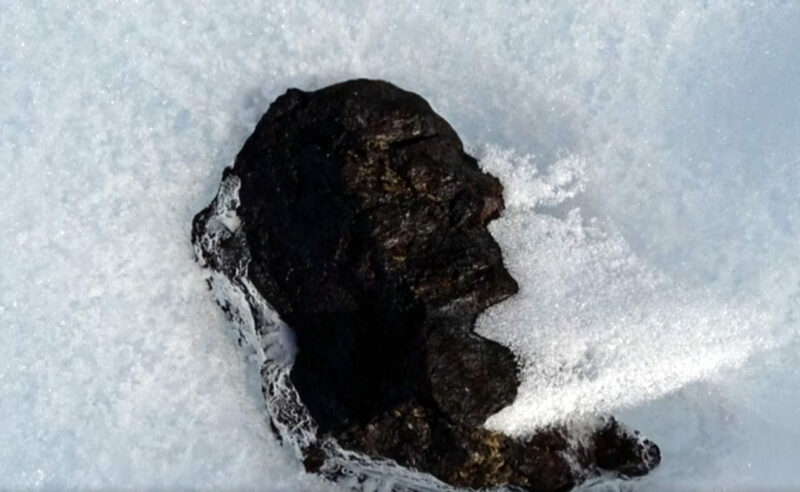 After moving to another search area the team found a specimen on a nunatak on 16 January. The following day five specimens were found and on 18 January another two meteorites could be found. 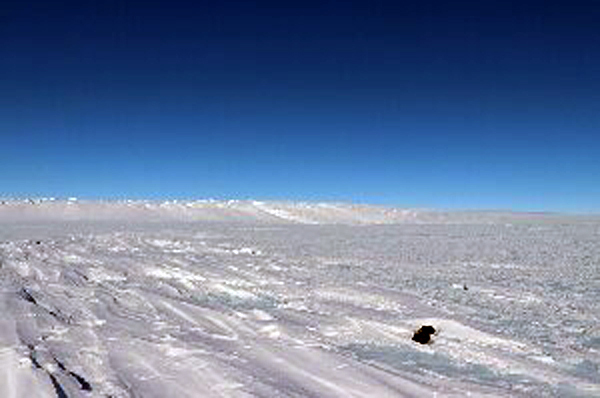 On 19 January three meteorites were detected of which two were still half embedded in the ice and had to be dug out. 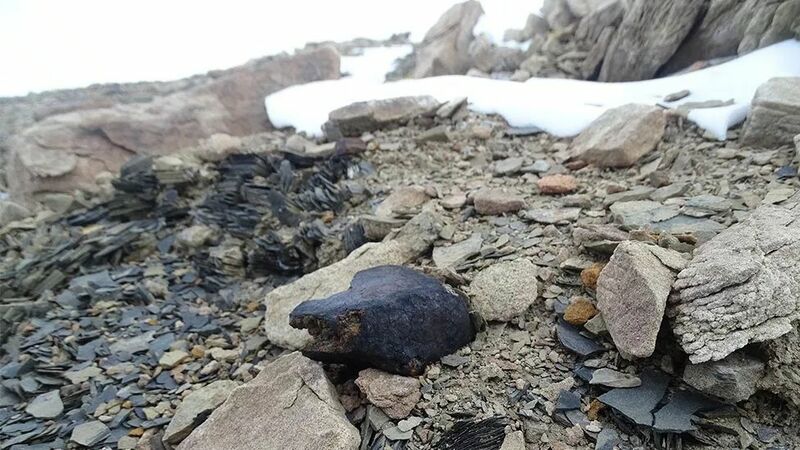 On 20 January one meteorite was found and on the following day another one, which could be an achondrite because of its shiny, glassy fusion crust and apparent lack of chondrules. 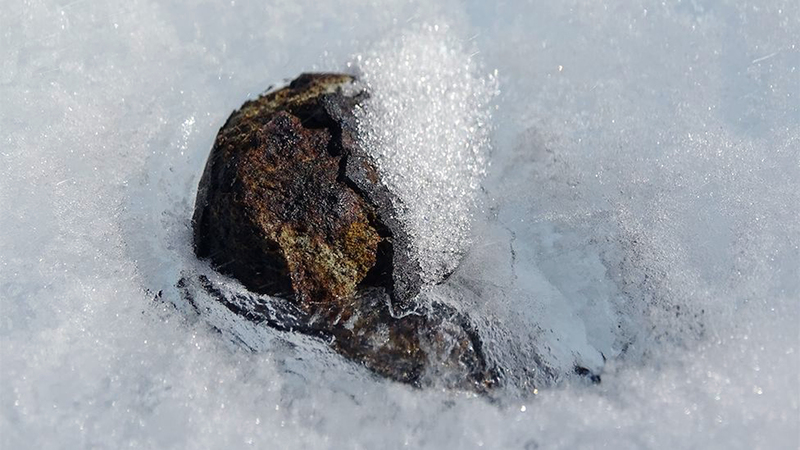 On 23 January another meteorite, half buried in ice, was found. 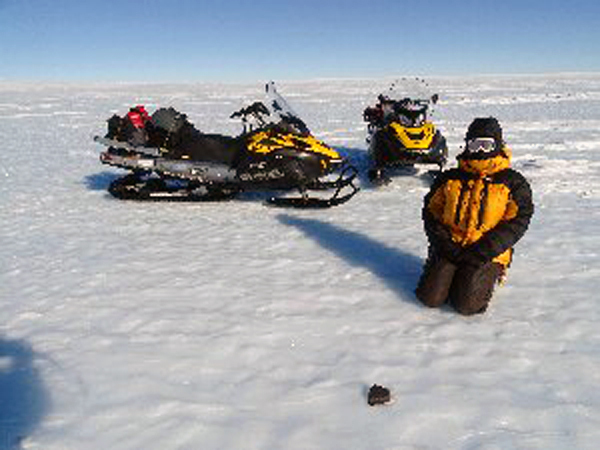 Together with two small specimens found on 24 January 36 meteorites have been found so far. 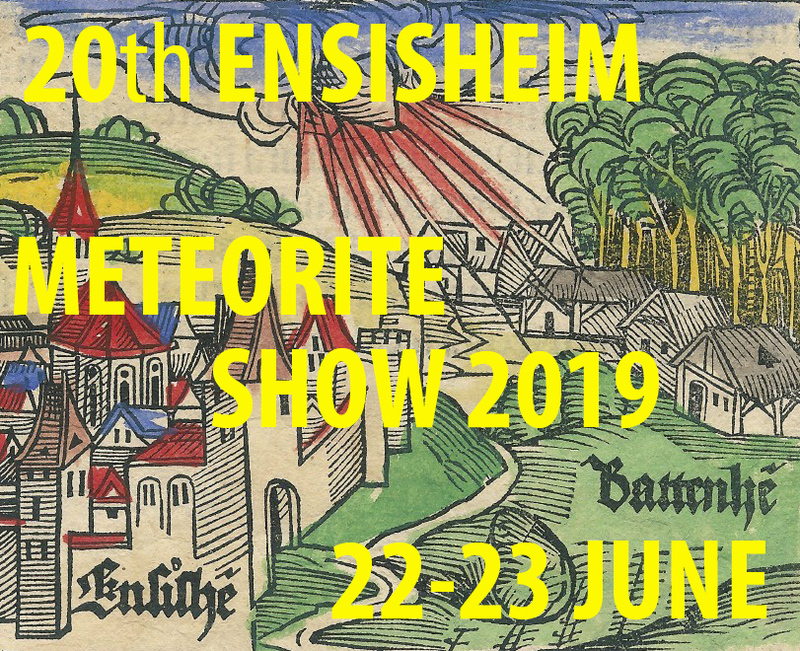 The meteorites are expected to arrive in Britain in June 2019. 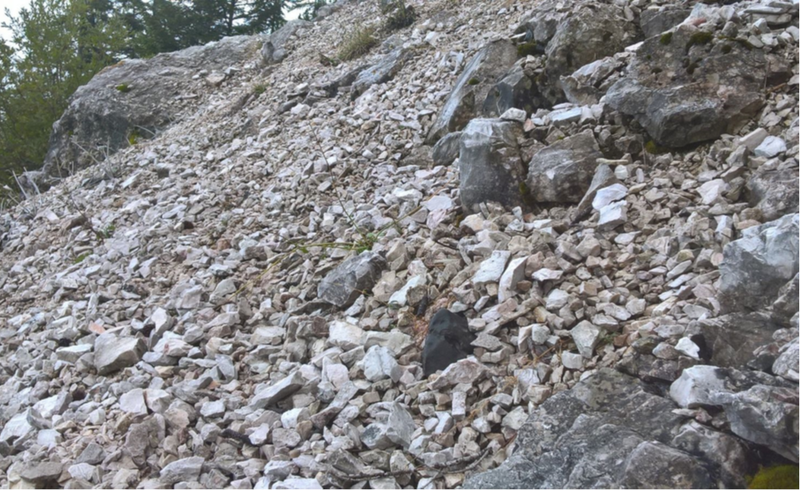 The amount and classes of the surface finds of this year’s search season will be compared to the possible subsurface finds of iron meteorites during the Dezember 2019 seach expedition. 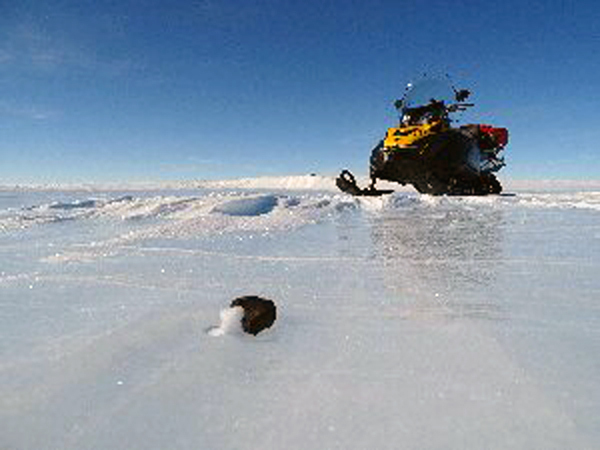 It is assumed that up to 2.9 iron meteorites per week might be found if the team manages to scan an area of about 2.4 km² per day with the five panels of their metal detector array towed by snowmobile. 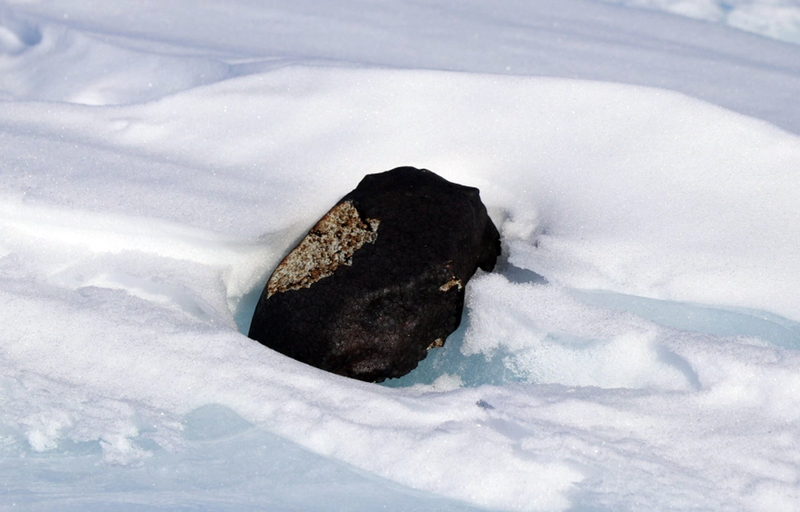 The Lost Meteorites of Antarctica Project tries to confirm the theory of a hidden layer of subsurface Antarctic meteorites, published by Evatt et al in February 2016.